SANTA ANA – Four men will be arraigned on an indictment tomorrow for defrauding over $36 million from insurance companies in an overbilling scheme. Jeffrey Edward Campau, 39, Yorba Linda, Abraham Khorshad, 62, Beverly Hills, and Landen Alan Mirallegro, 38, Yorba Linda, are charged with 22 felony counts of submitting multiple fraudulent claims, 22 felony counts of manufacturing documents in support of a fraudulent claim, one felony count of conspiracy, and sentencing enhancements for aggravated white collar crimes for loss over $500,000 and special loss over $3.2 million. If convicted on all counts, they each face a maximum sentence of 53 years in state prison. The defendants are out of custody on $1.5 million bail each. Ryan Nathanil McCracken, 29, Rancho Cucamonga, is charged with one felony count of conspiracy and faces a maximum sentence of five years in state prison if convicted. He is out of custody on $20,000 bail. They are scheduled to be arraigned tomorrow, Jan. 22, 2014, at 9:00 a.m. in Department C-30, Central Justice Center, Santa Ana. 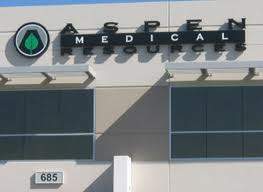 In 2005, Campau, Mirallegro, and Khorshad are accused of forming a durable medical equipment (DME) company named Aspen Medical Resources, LLC (Aspen). Between 2005 and 2013, the defendants are accused of renting out a DME machine similar in function to an ice pack or heating pad, which provided both hot and cold modalities to alleviate inflammation and/or pain for patients. The three defendants are accused of fraudulently overbilling insurance carriers for this DME in two ways: for rental of one machine as two separate hot and cold machines, and for renting the hot and cold units which were valued at less than $500 for as much as $15,500 to $17,500 per patient. Campau, Mirallegro, and Khorshad are accused of submitting hundreds of claims to the State Compensation Insurance Fund, Liberty Mutual, AIG (Chartis), Zenith Insurance, Birkshire Hathaway Homestead Companies, County of Orange, County of San Bernardino, County of Riverside, American Claims Management, First Comp Insurance, CNA Insurance, Comp West Insurance, Employers Insurance, Farmers Insurance, State Farm Insurance, Fireman’s Fund, Tristar (City of Los Angeles), Gallagher Basset, Republic Indemnity, Sentry, and Travelers Insurance. If a claim was not paid, the defendants are accused of filing a lien at the Workers Compensation Appeals Board and aggressively collecting on these fraudulent claims. McCracken was employed as the collection manager for Aspen and is accused of negotiating the liens at the Workers Compensation Appeals Board with the carriers. McCracken is accused of receiving a commission on all of his collections. The defendants are accused of being informed by various insurance carriers that Aspen was billing for the units incorrectly, but continued to bill the same way and aggressively defended their fraudulent claims, making it more cost-effective for the insurance carriers to pay the fraudulent claims than fight them. Campau, Mirallegro and Khorshad are accused of billing under other company names, National DME and Abrexis Orthocare LLC. They are accused of using different addresses and different Employment Tax Identification Numbers for each of these companies in order to mislead the insurance carriers and give the appearance that these companies were different companies and not Aspen. The defendants are accused of collecting over $12 million from insurance carriers under these business names. Insurance companies contacted the Orange County District Attorney’s Office (OCDA) and the Department of Insurance, who jointly investigated this case. OCDA seized all assets of the companies, which are now under receivership.